Elevate your game and enjoy exclusive and professional tennis training at one of Dubai’s most luxurious, floodlit tennis courts located at the heart of JA coastal resort! In this 1-on-1 class, you will learn everything from basic racket grips to tennis strokes (serve, forehand, backhand, overhead, and volley), as well the stances, the right footwork patterns, and the actual gameplay. 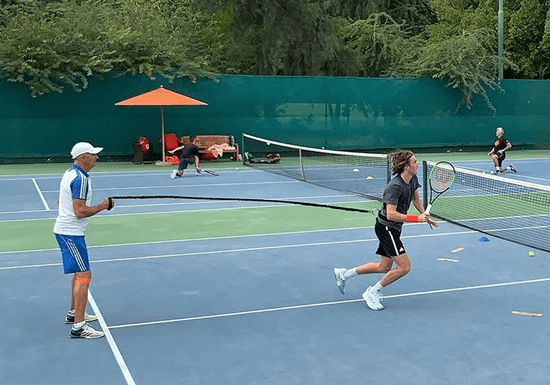 Whether you’ve never tried tennis before or simply looking to refine your existing skills, your highly-qualified instructor Davide Giusti will customize a program for you to address your learning needs. Try it out by booking 1 session, 10 sessions to become competently capable of joining a full tennis game, and 20 sessions to master the techniques. 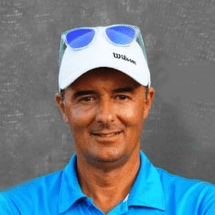 About the Instructor: Davide Giusti is the head coach of the junior/adult program at the Jebel Ali (JA) Tennis Academy Dubai. He has been teaching tennis for about 13 years and has also competed and won in various men's and doubles events in Italy. He is a GPTCA C-Level International Coach (ATP Certification) and also has a PTR tennis coach certification.